The Czech Republic is quite a popular destination for travelers who want to explore more than just clichéd tourist destinations. This Eastern European country is perfect for those who like to admire the diverse beauty brought by the different nations that owned this piece of land throughout history, and left their unique architectural influence. If the Czech Republic is on your travel list, here are the most picturesque and interesting towns to visit other than Prague. 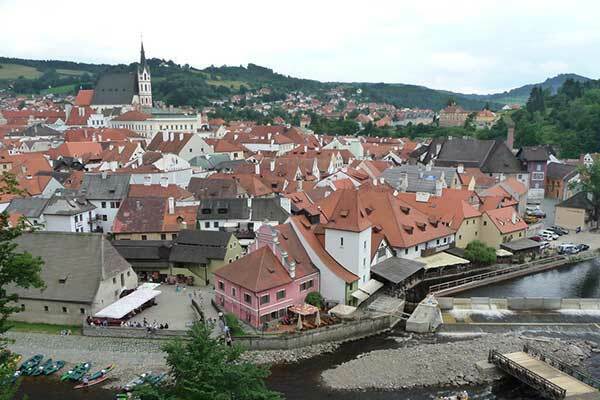 Český Krumlov is located about 108 miles from Prague in the south of Bohemia. Besides Prague, this is one of the most popular tourist destinations in the Czech Republic, mostly because of the unique architecture protected by UNESCO World Heritage. The magnificent State Castle of Český Krumlov, surrounded by the Vltava river, gives this Czech city a fairytale-like appearance. Although Český Krumlov has a lot of museums, taking a walk down the historic part of the city feels like visiting a museum thanks to the pedestrian-only streets and old but very charming buildings. For those seeking adventure, rafting and kayaking down the Vltava river is an exciting experience worth trying. 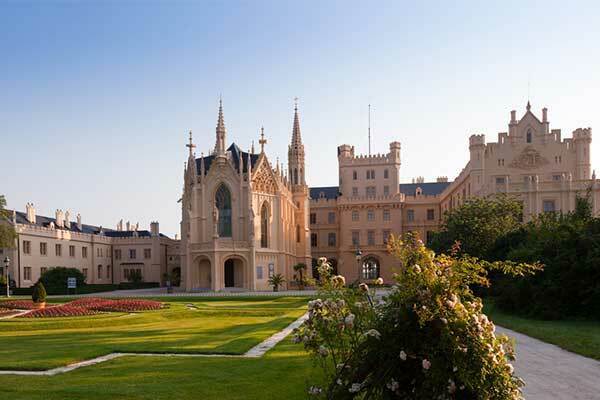 Lednice and Valtice are the highlights of South Moravia, located about 161 miles from Prague. These small wine-making towns are way closer to Vienna and Bratislava, so don’t hesitate to make a trip. The main attraction in these outstandingly beautiful towns are the castles and the area that surrounds them known as ‘Lednice-Valtice Cultural Landscape,’ protected by UNESCO. The area consists of Lednice Castle (Zámek Lednice), Valtice Castle (Zámek Valtice), blooming royal gardens, temples, chapels, ponds, minaret, and other significant monuments. Besides admiring the architectural wonders, here you’ll find landscapes full of vineyards and the Czech Republic’s 100 best wines (the selection changes annually) available for tasting in the basement of Valtice’s chateau. Telč is another city with a rich historical heritage filled with Gothic and Renaissance houses that will make you feel like you stepped into a fairytale from another time. Interestingly enough, this town was nothing special until it burnt down in a great fire in the 16th century leaving a blank canvas for a man called Zacharias of Hradec who took over Telč at the age of 23 with a vision to reinvent it. Thanks to him, visiting this city nowadays is one relaxing experience where you can admire the unique architecture without being bothered by crowds of tourists. 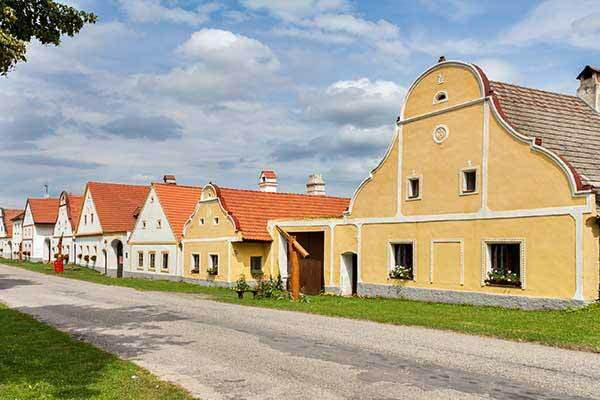 Although it’s not a touristic spot, Telč is absolutely worth your time and attention. The fact that it is registered as a UNESCO World Heritage Site is a good enough reason for you to leave Prague at least for a day and explore this interesting town. 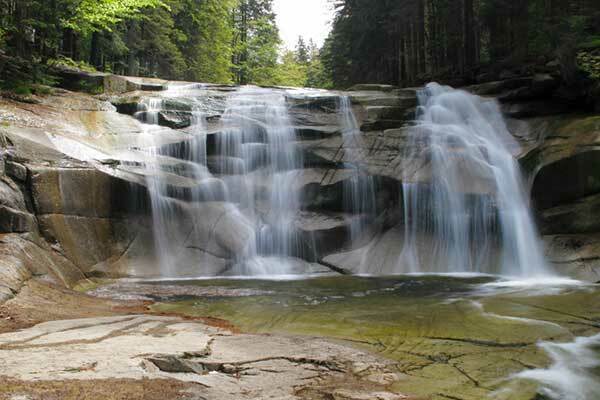 Harrachov is the perfect place to venture into the Czech countryside with its magnificent Mumlava waterfalls and impressive mountain scenery. Located 80 miles north of Prague, this is one of the most famous winter sport centers in the western part of the Giant Mountains offering everything from hiking and biking trails to downhill ski runs. There is no wrong time to discover the hidden beauty of Harrachov especially because the Mumlava waterfalls look different in ifferent seasons of the year. The Bohemian town of Kutná Hora is only a short bus ride away from Prague which leaves you with no excuse to get stuck in the capital. Known as the “City of Silver”, Kutná Hora was built on top of exhausted silver mines. Its architecture is a magnificent blend of Gothic, Renaissance, and Baroque structures, among which the most notable is the stunning gothic Saint Barbora’s church, the bizarre Sedlec Ossuary Church adorned with human skeletons, the Bohemian Museum of Silver, and the Italian Court. 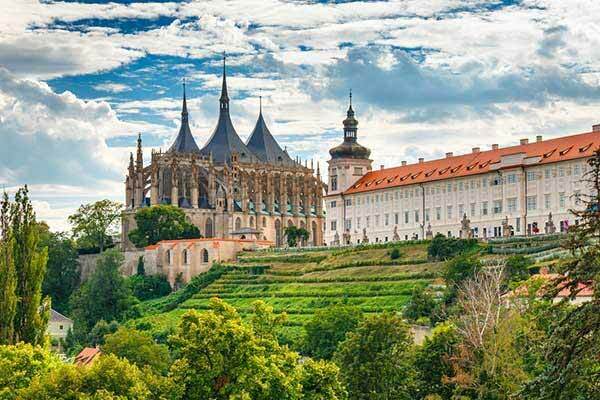 Just like the rest of the towns on this list, Kutná Hora is part of the UNESCO World Heritage List. This charming Czech village will take your breath away with its rural Baroque style and amazing scenery. Don’t expect to see much activity in Holašovice as there are no shopping centers, large hotels, or rumbling squares. There are 23 farmyard-style houses in the center of this small village, and all of them are worth your attention. Holašovice still has the authentic appearance of centuries ago which is a perfect representation of the traditional Central European villages that have lost the battle with the big cities and have now disappeared. No need to mention that UNESCO has recognized the authentic beauty of this quiet village and included it on its World Heritage List. 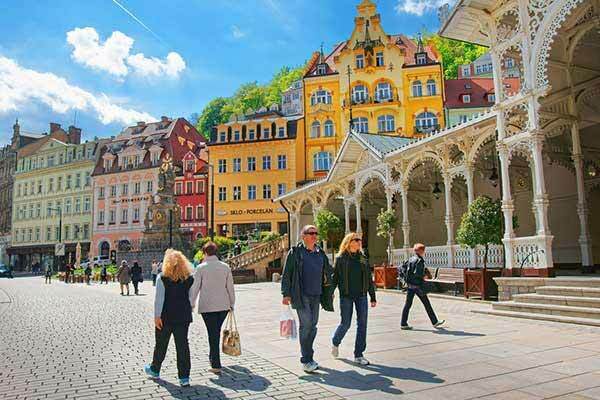 Karlovy Vary has everything from superb hot springs, relaxing green areas, and cobblestone streets which make it one of the most beautiful spa towns in Central Europe. Visitors can soak, steam, and drink the waters of the 13 main springs and 300 smaller ones taking full advantage of their healing attributes. However, Karlovy Vary is not only a place to relax and unplug but also admire the colorful spa-influenced architecture that includes Neoclassical and Art Nouveau structures from the late 19th and early 20th centuries. 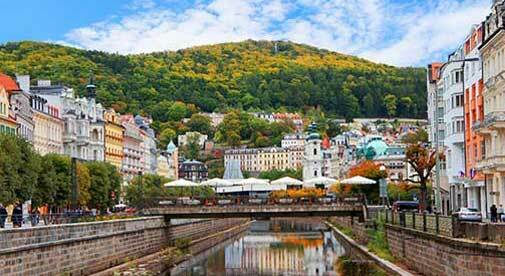 The likes of Peter the Great, Beethoven, Karl Marx, Goethe, Chopin, and Schiller had visited Karlovy Vary building up the rich historical heritage of this charming Czech city. If you happen to visit in July, you can also see the famous International Film Festival.